If you are like me and enjoy being outside in the summer. Our Jacksonville lifestyle is ideal, whether you remain downtown and enjoy concerts at Metro park, The Brooklyn, and the Jacksonville Landing. Or head to the beach, Huguenot park or the Jacksonville Zoo there is plenty to do outside. Let me know if you’d like to join me and spend time active outside, jogging, bike riding, hiking, kayaking, basketball, soccer, golfing and even trying to surf. You are never too young or old to explore new things. Being outside does come with an elevated risk of skin cancer. 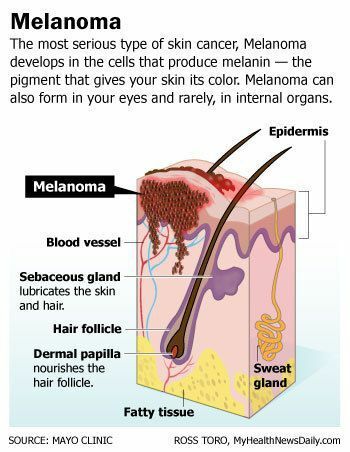 There is a myth that dark skin is immune from skin cancer. Everyone is at risk of getting skin cancer, it is important to protect yourself from the potentially life threatening risks imposed by increased exposure to the Sun. The Skin Care Foundation estimates that 1 in 5 Americans will develop skin cancer in the course of a lifetime. With those odds against us, an ounce of prevention is truly worth a pound of cure. Take a moment to review these tried and true prevention measures to ensure year round skin health. – Avoid direct sunlight between the hours of 10 am and 4 PM. – Avoid Tanning and the use of UV Tanning Beds. That “Summer glow” isn’t as healthy as we may want to believe. – Cover exposed skin, and remember to protect your eyes with UV blocking sunglasses. – Regularly use a broad spectrum (UVA/UVB) Sunscreen with an SPF rating of 15 or higher. Use water/sweat proof Sunscreen SPF 30 or higher for prolonged outdoor activities. – Apply 2 Tablespoons of Sunscreen over your entire body at least 30 minutes before going outside. Reapply every 2 hours or immediately after swimming or excessive sweating. – Examine your skin every month. – See you physician every year for a professional skin exam. Remember to keep newborns out of the sun, and only use sunscreen on babies over the age of six months. Visit the Skin Cancer Foundations website at http://www.skincancer.org for additional articles and professional recommendations related to skin health and the sun. If you are Ready for Your Summer Body, Join Dr. Fitness and Friends. We all at I-Heart Media Care about YOU!